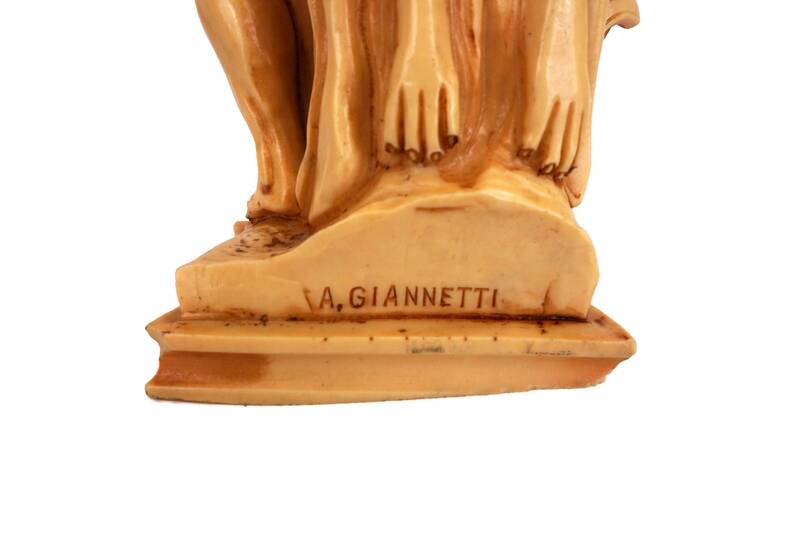 The figurine has been based on a sculpture of the XVIth century by Vincenzo de Rossi. 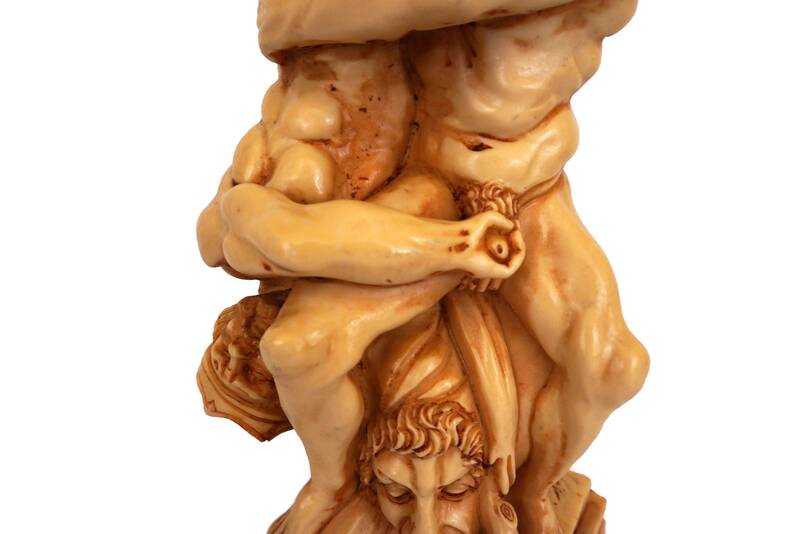 (29 cm x 10 cm x 7,5 cm). 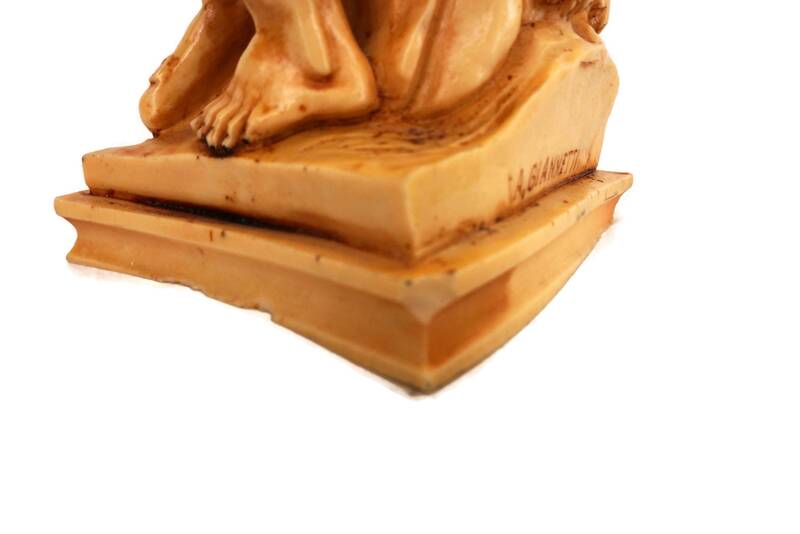 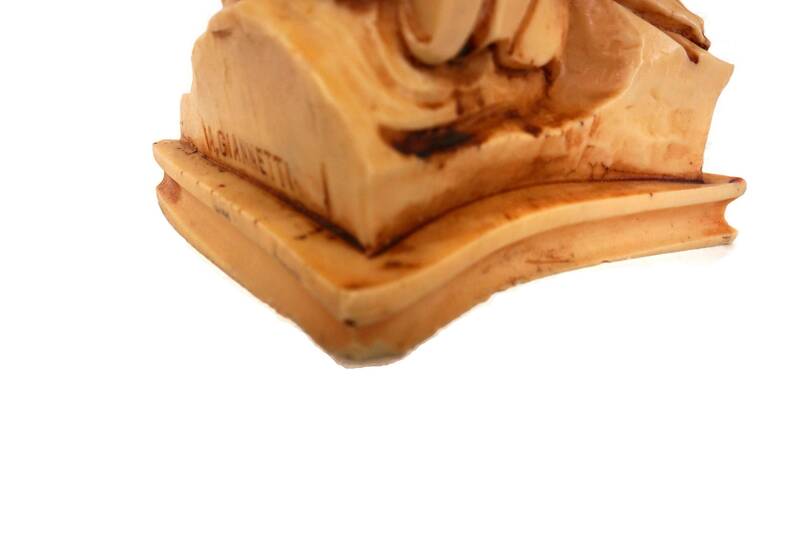 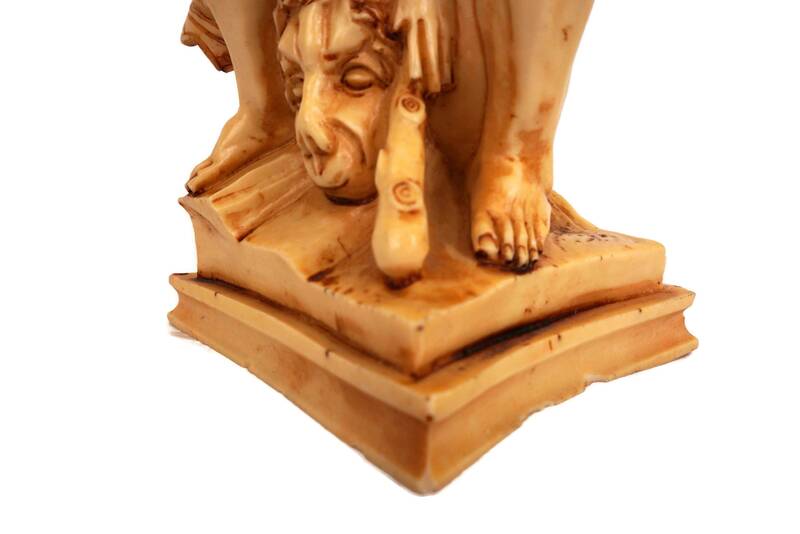 The statue is in good vintage condition with some signs of age and wear including chips to the bottom corners and to the edges of the pedestal base.